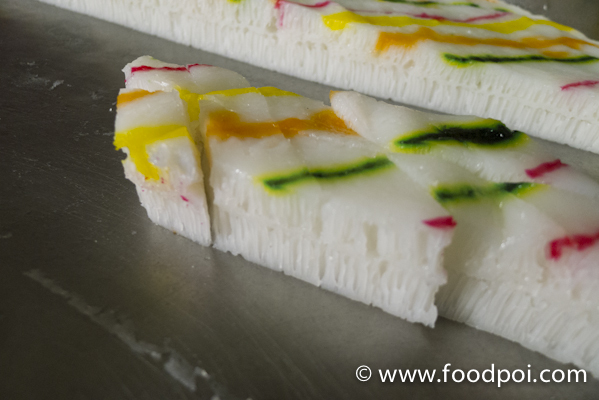 I wonder how many of the current young generation that ever taste these kind of nyonya kueh. At most you try Sister’s Popiah only which prepared by Indons or Myanmar people who man the counter. 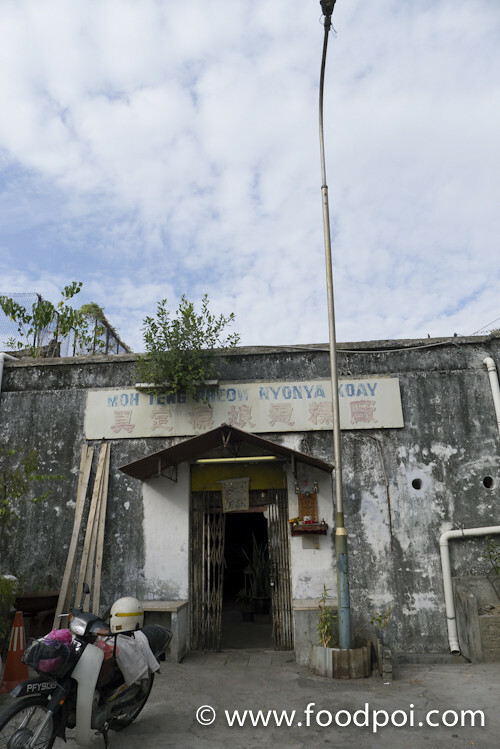 Let me share with you a place where all the traditional nyonya kuih came from in Penang. 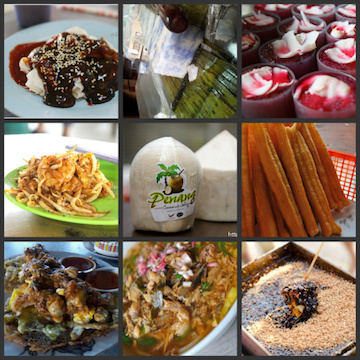 Moh Teng Peow is famous among the pasar malam hawkers and street food traders. Glutinous rice with kaya (coconut jam). Tucked in a corner within Chulia Street, this is hidden from the view of the main road. It is still open to the public for walk in purchase. You are guaranteed to have the freshest one here. 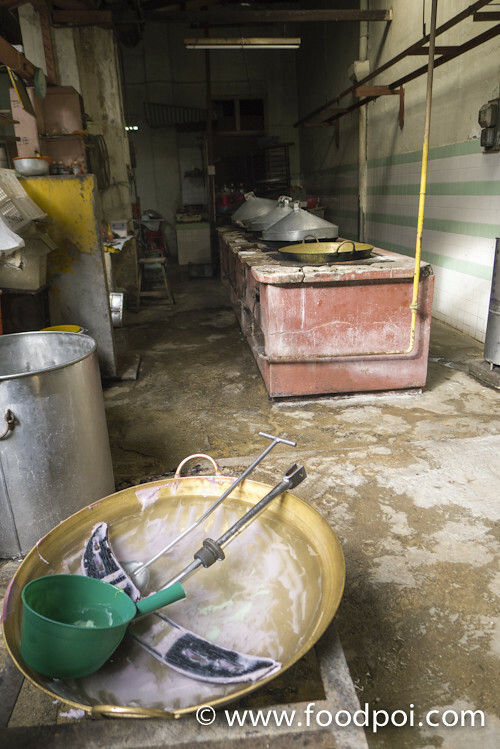 Here the glutinous rice are baked in bulk. 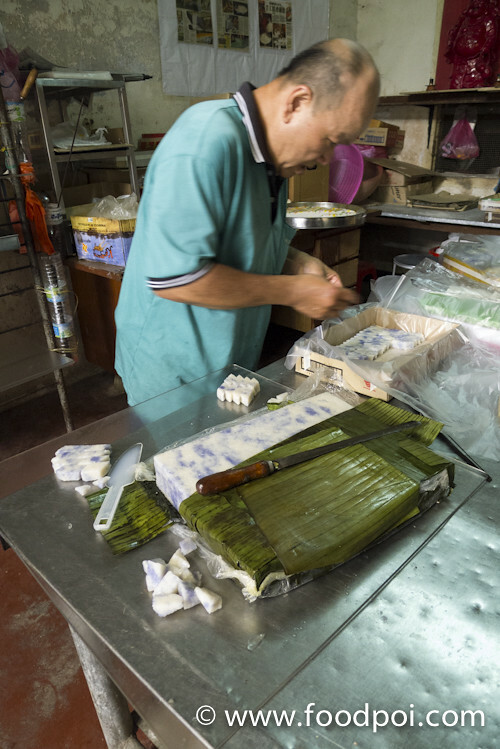 The banana leaf is used to wrap the rice and shape into square. 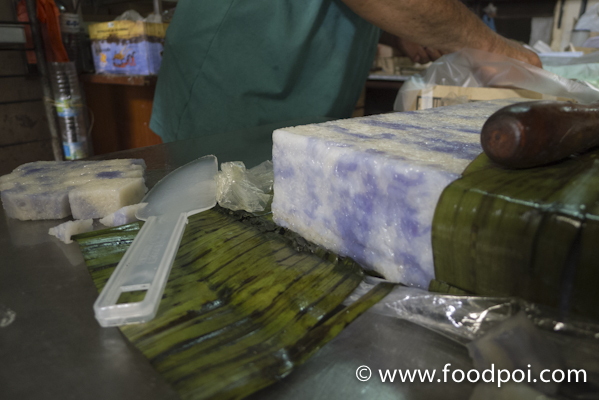 It is actually pressed in a wooden box to make them tightly sticked with every grains of rice. No artificial coloring used. 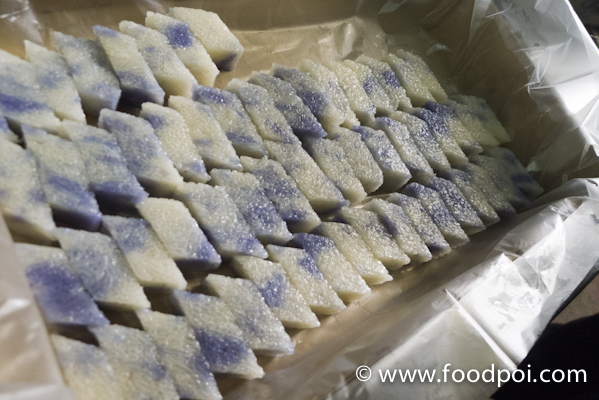 This is still use the morning glory flower to add the blue color into the rice. Kitchen though looks old but still very clean and tidy. 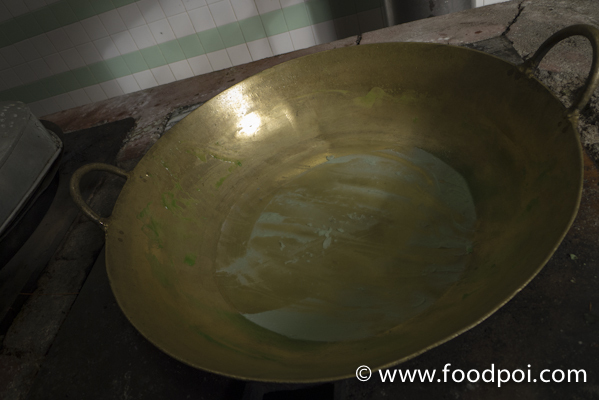 This is a brass pan which can hardly find in the market nowadays. So to find out more go and pay them a visit. If you are lucky enough, you can get the chance they steam the cakes. I reach there pretty late already. Ya.. 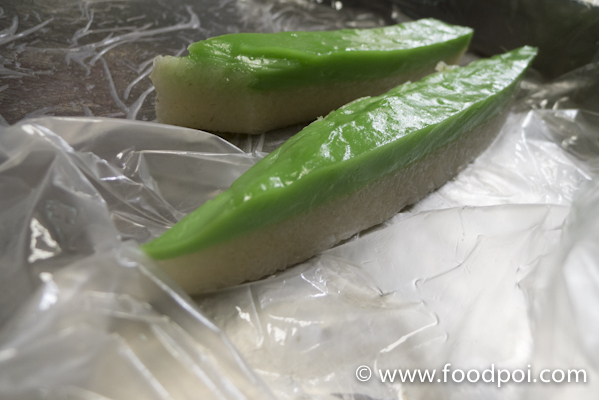 This kind nyonya kuih hardly to find.. Have to go somewhere new village to get it.. Yes, this place still exists! 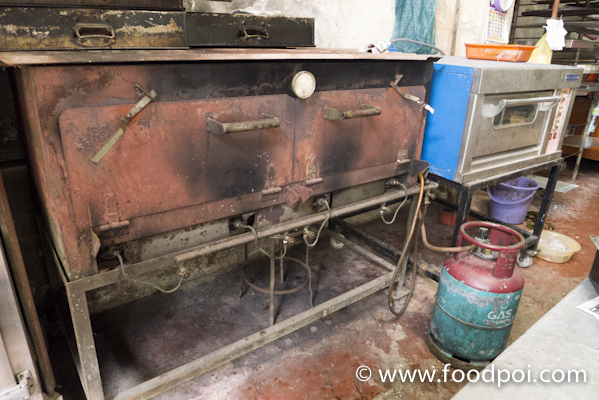 Still remember the awkward moment when we walked into the kitchen and thought … wait, this couldn’t be a retail outlet! But it is. And they make pretty good curry puffs too. Glad to know that Penang has so much to offer. Good food and authentic taste. 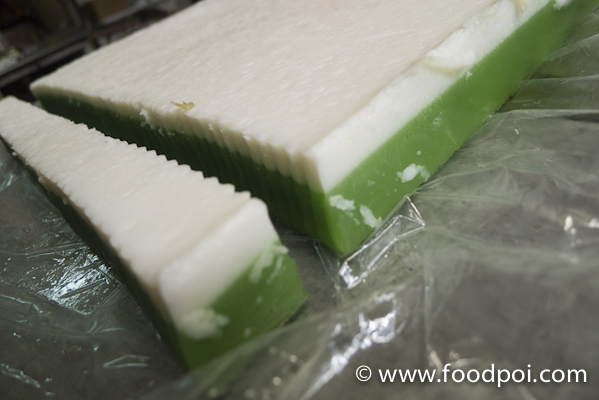 Another outlet which I have tried http://www.fooktseng.com/nyonya-kuih/ The offering is reasonable price for the size and price.